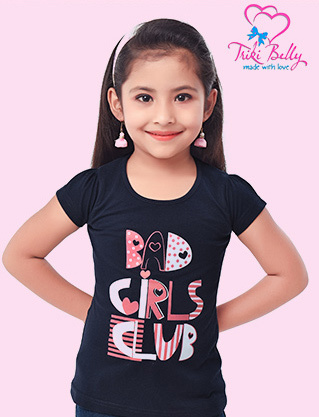 Inquiry We take immense pleasure and pride in introducing our company as one of the leading manufacturers & exporters of Casual Girls Tops. We offered these garmetn in cotton blend quality material. We have various size for these tops. We are ready to meet international buyers. Inquiry We are involved in offering an extensive assortment of Kids Top in the industry. The tops that we offer are available in variety of pattern and texture. These tops provide the wearer a glamorous look. Our tops also give a very comfortable feel to the wearer. The offered tops have skin friendly characteristic. In addition, these Kids Tops are highly color fastness in nature. Inquiry We are a prominent wholesaler & exporter of Round neck Top. These Women's Round Neck Tops are recommended among the clients due to the beautiful prints and different designs. 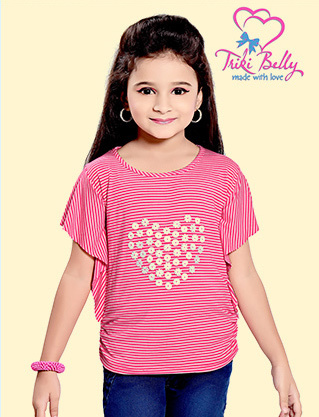 Our Round neck Top range is made by our skilled designers, who have immense information about latest trends. Inquiry We have an immediate need for Embroidery Patches. We are looking embroidery patches in cotton and polyester material. We will use this embroidery patches in girls top accessories. We require from Indian supplier. Inquiry We want to purchase Colored Button. We are looking in wooden, metal & plastic material in all sizes. These colored buttons is used for kids garment. We want in buy in width of 1 to 4". We want to get connect with Indian supplier. Inquiry We are manufacture of Girls Fashionable Tops. These Fancy Western are available in different style, color & material. We manufacture garment as per buyers specifications. We make use of the advanced techniques for making our offered garments as per the latest fashion trends. Inquiry We are manufacture and exporters of GIRLS FANCY TOPS. 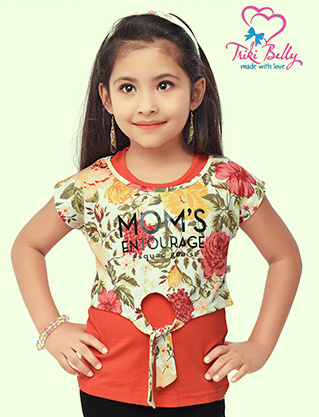 These girls fancy tops are available in different style, color & material. We manufacture garment as per buyers specifications. We make use of the advanced techniques for making our offered garments as per the latest fashion trends. Inquiry We are glad to present our company as a leading exporter of Fashionable Shrug. The offered Fashionable Shrug is stitched utilizing high-grade cotton and allied fabrics, sourced from trustworthy vendors of the market. Inquiry We are glad to present our company as a leading exporter of Girls Fancy Tops and Shrugs. The offered Girls Fancy Tops is stitched utilizing high-grade cotton and allied fabrics, sourced from trustworthy vendors of the market. In addition to this, the offered range is known for easy to wash nature and color fastness. Inquiry We are glad to present our company as a leading exporter of Girls Fancy Tops. The offered Girls Fancy Tops is stitched utilizing high-grade cotton and allied fabrics, sourced from trustworthy vendors of the market. In addition to this, the offered range is known for easy to wash nature and color fastness.